Buy your vacation home in Southwest Florida. Let your Suncoasteam assist in this important purchase. Here are some factors you may want to consider. Will it just be for family and friends, or do you plan to rent it as well? And realistically, how many times will you use it per year? 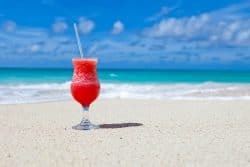 A seasonal vacation home can be a rewarding purchase and even a very good investment but there are factors to consider. If you will only occupy your Southwest Florida vacation, second home, for only one or two months each year, you might find that it is better to simply rent a home. Spending $5,000 – $8,000 per year on a rental if you will only visit for two months may be better spent. You can see our list of seasonal rentals and a calendar of availability on our website: https://suncoasteam.com/property-management-services/seasonal-rentals. However, if you will spend more than two months in your Southwest Florida vacation home, or you want the freedom to visit anytime of the year on a whim, then purchase is the best route. Condos and single family homes in the area can be a very comfortable get-away and as an added benefit, you can keep your personal belonging there, without having to haul them back and forth each season. Finally, if you will only use your Southwest Florida Vacation Home occasionally, you may consider using it as an income property. Our Property Management devision needs rental properties for both seasonal and annual renters. Our sales team can help buy your vacation home in Southwest Florida and make it a valuable investment. 2. Evaluate locations. Are there enough amenities and attractions to keep you— and renters—coming back year after year? What do you home to do when you visit Southwest Florida? When you buy your vacation home will you be hoping to be in an area with outdoor activities such as golf, fishing, boating and sailing? Our area has something for everyone. Charlotte Harbor and the Gulf of Mexico is a pristine estuary and protected harbor with access to the oceans of the world. Southwest Florida is a haven for the golf enthusiast with many public courses as well as golf communities that include memberships to private golf clubs. If your intension is to simply relax and get away from winter, there are many condos or single family pool homes to meet that need. Just lead a carefree life, take a dip in your pool, dine in a variety of nice restaurants and enjoy the many museums, parks and public activities in the towns and cities of Southwest Florida, including street fairs and music concerts. 3. Talk to the locals. What do they love about the area? What’s changing? And what’s it like during the off season? When you visit to explore the area, talk to the people who live here. Ask the shop owners what they like and what they would change. Chat up people when you visit a local lounge, restaurant or public venue. You’ll find that the people who Live in Southwest Florida are happy and friendly and they may have moved here from an area near you. 4. Study local laws. If you plan to rent the home, local rules may restrict rental periods or cap the number of days you can rent each year. In general, county and municipal laws and regulations are simple and unrestrictive. They protect property owners quite well and are fair to renters. Condos can be somewhat more restrictive. Many have rules on whether a unit can be rented and on rental periods. They usually require an application to rent and have rules that apply only to renters, different from the rules for owners. Condos may also have age restrictions. Your Suncoasteam can help you through these rules when you buy your vacation home in Southwest Florida. 5. Calculate costs. Along with mortgage, insurance, property taxes and association or amenities fees, plan for wear and tear. (A good rule of thumb: Budget one and a half percent of home’s value on repairs annually.) And if you intend to rent, add the cost of a property manager. Suncoasteam’s Property Management division offers a discount on management fees to those who purchase a home with the assistance of our sales staff. 6. Talk to an accountant. This person can advise you on such issues as the tax implications of rental income and changes in federal tax laws that could impact deductions. 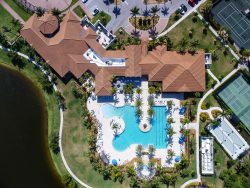 A brief consultation with a tax expert or financial planner can often set your mid at ease when considering a large purchase such as Southwest Florida Vacation Home. 7. Test before you buy. Once you’ve settled on a spot, you may consider renting for a season. This will give you the opportunity to explore the area and you just may find a section a little away from your rental that you prefer. Or you may just fall in love with the complex or area and know you are making the right decision. You can see our list of seasonal rentals and a calendar of availability on our website: https://suncoasteam.com/property-management-services/seasonal-rentals. 8. Work with an experienced Realtor. Pick someone who knows the community and who can recommend the other experts you’ll want to consult. Your Suncoasteam has decades of experience in Southwest Florida, and can help buy your vacation home without stress. Our team has helped buyers throughout Southwest Florida, from Naples to Tampa but our primary sales territory is Charlotte and Sarasota Counties. 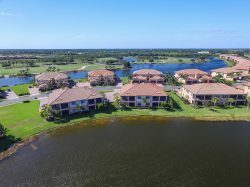 This area includes the cities and towns of Punta Gorda, Port Charlotte, Rotonda West, Englewood, North Port, Venice, Nokomis, Osprey, Sarasota, Siesta Key, Longboat Key, Casey Key, Palmer Ranch, Taylor Ranch, West Villages, Sarasota National and more.